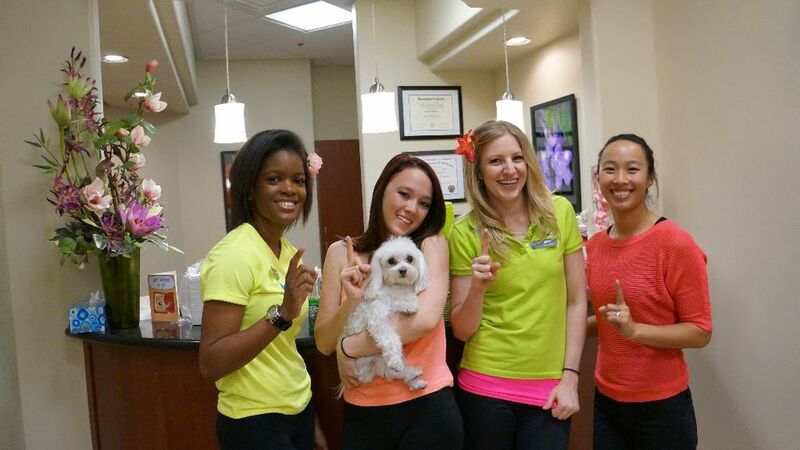 Our mission is to make orthodontic treatment a fun and memorable experience for all of our patients. Every month our patient’s get to enjoy numerous different practice events and contests where they can earn points towards gift cards to all their favorite stores! Twice a month our patient’s can enjoy a visit from Kloud, Dr. Beth’s pet Maltese. He enjoys spending time with all of our patients and makes sure everyone feels comfortable. Kloud enjoys making everyone smile. He also likes belly rubs too. If you want to have a great smile but aren’t looking forward to smiling with metal braces on your teeth. We offer many reasons to smile confidently with aesthetic treatment options. Not only do we provide invisalign, we can also use clear braces or lingual braces (braces that are hidden behind your teeth). Giving you multiple options to suite your smile needs.